The 1930s Chicago Cubs often fielded outstanding teams. They won pennants in 1932, 1935 and 1938. They won with solid hitting, fielding – and pitching. Anchoring the staff was a right handed pitcher from Arkansas named Lon Warneke. Years later, teammate Phil Cavarretta had this to say of him, “To me, during the years I saw him pitch with the Cubs (and later with the Cardinals) he was one of the best pitchers I’ve ever seen…he’d win 18, 19, 20 games for you. His best pitch was an overhand curve ball. He had a good change and a good fastball – his fastball had good movement.” 1 In an era when pitchers like Dizzy Dean and Carl Hubbell were lauded for their pitching skills, Warneke more than held his own. Lonnie Warneke (pronounced WARN-a-key), the fourth of five children, was born on March 28, 1909, to Louis W. (Luke) and Martha Belle Scott Warneke. The 6’ 6” Luke was a farmer in the small rural community of Owley, Arkansas - about five miles from Mount Ida, the county seat of Montgomery County. Warneke found his way into professional baseball through a family connection in Houston, Texas. L. J. Warneke, Lon’s nephew, related the story of how Lon ended up in Houston. Kate Weaver, Lon’s sister, lived in Houston with her husband Buck and son Hank. Kate was a beautician in Houston and Buck, a fireman, was crazy about baseball. The wife of Fred Ankenman, president of the Houston Buffaloes, was one of Kate’s customers. The Buffs were a member of the Texas League, Class A, and a farm team of the St. Louis Cardinals. Kate told Mrs. Ankenman about her brother, Lon, who liked to play baseball. Mrs. Ankenman relayed the message to her husband, Fred. Buck contacted Lon and suggested that he come to Houston, live with them for a while, get a job, and play baseball on a semi-pro team. Buck would contact the Buffs to see if he could get Lon a tryout. He followed Buck’s advice. While living in Houston, he secured a job delivering telegrams on a bicycle for Western Union. Eventually, Lon met Frank “Pancho” Snyder, manager of the Houston Buffs. Lon told the story about meeting Snyder. Warneke early on gained a reputation as a practical joker. According to a story that surfaced in 1928, players were stepping around, over and sometimes tripping over snakes. Players even looked under their pillows and around their beds before going to sleep. Snakes never bothered Warneke. Warneke, nicknamed by his Alexandria teammates “Country,” “Dixie” or “Dixie Dude,” compiled a 16-10 record in 1929 and was selected co-MVP of the Alexandria team. At the end of the season, the Chicago Cubs bought his contract for $7,500. Cleveland’s loss, Cubs’ gain. On April 18, 1930, the 21-year-old Warneke relieved Guy Bush in the top of the sixth inning on his major league debut. The new Cub pitcher tossed 1-1/3 innings, while giving up five runs, two hits and walking five. Warneke was shipped to Reading (PA) in the Class AA International League. At season’s end, Lon had accumulated a 9-12 record, including a no-hitter, with a 6.03 ERA. 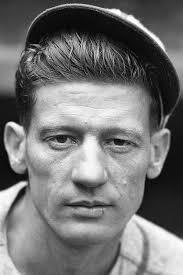 Warneke began the 1931 season with the Cubs and was used mainly throughout the season in a relief role. However, he won his first major league game, a complete nine-inning contest on August 5. The Cubs squeaked by the Reds 3-2 at Wrigley Field. By the end of the season, Lon had posted a 2-4 record, mainly in relief. He pitched 64 1/3 innings, while securing a 3.22 ERA. In 1932, Lon was on the mound in a spring training contest, when a player on the bench noticed Lon’s pitching techniques. Pitchers are supposed to keep their eyes on the catcher’s target when delivering the ball, but Lon looked down at his own feet before throwing the ball to the plate. For a split second, he would drop his head and take his eyes off the target. The player called attention to Lon’s unorthodox delivery. Manager Rogers Hornsby assigned Zack Taylor, an experienced catcher, to work with the 23-year-old hurler to correct the flaw. The young hurler began to focus on the target, not his feet. This was a defining moment in Warneke’s professional career as he acquired exceptional control. Warneke rapidly became one of the best low-ball pitchers in the league, winning his first five games of the 1932 season. By July 20th, Lon won his 14th game of the season, having beaten every team in the National League at least once. On the same date, Frank “Lefty” O’Doul, outfielder for Brooklyn, complimented Warneke. While Warneke had outstanding control, he was also one whose use of his wits would define his approach to the game. When Warneke was nearing retirement, Branch Rickey, at the time general manager of the Brooklyn Dodgers, discussed the art of pitching and one phase of pitching was shaking off the catcher. The Cubs having won the 1932 pennant faced the Yankees in the World Series. The New Yorkers swept the Bruins four games to none to become World Champions. In the second game, Lon pitched well, striking out seven, but not adequately enough as “Lefty” Gomez and the Yankees won 5-2. Lon gave up 10 hits, and yielded four walks in the early going. Warneke struck out Babe Ruth, but couldn’t contain Lou Gehrig who went 3-for-4. When he returned to Mount Ida during the off season, he found he had become a local celebrity. At a football game in nearby Norman, Arkansas, he met Charlyne Shannon, a school teacher. Lon and Charlyne began dating and several months later, on February 12, 1933, the couple was married in Norman and spent their honeymoon in Hot Springs. Eleven days after the wedding Lon was at the Cubs spring training camp at Catalina Island while Mrs. Warneke remained in Norman to teach. On Opening Day, April 12, 1933, Warneke and his Arkansas buddy, Dizzy Dean of the Cardinals, were the attractions at Wrigley Field in Chicago. Lon muted the St Louis Cardinals as he hurled a four hit, 3-0 shutout. The 1933 season was underway. Warneke blistered Philadelphia pitching on May 24, 1933, hitting a homer and a double to help the Cubs defeat the Phillies 5-2, on an eight-hitter. In the sixth inning, while at bat and Billy Jurges on first base, Lon swung and caught his spikes in the batter’s box. He went down fast and stayed down for several minutes. Lon received attention from the trainer, but he insisted on staying in the game. On the next pitch, Lon smacked the ball so far into left center that he limped into second base with time to spare, scoring Jurges. The tenacious Warneke worked the last three innings with a lame ankle. At bat, Warneke collected six total bases. Less than 24 hours later, his injured ankle was swollen so much that he was unable to wear his uniform. The first Major League Baseball All-Star game took place on July 6, 1933, at Chicago’s Comiskey Park. Warneke, chosen to be a part of the National League’s inaugural squad, relieved Bill Hallahan (Cards) in the third inning with the American League on top 3-0. Warneke pitched the third through the sixth innings giving up one run on six hits, two strikeouts (Ruth and Gehrig) and no walks. During his only time at bat, Warneke hit a ball to right field that skipped by Ruth for a triple. It was the first triple in All-Star history. The American League went on to win by a 4-2 margin. The Cubs wound up in third place in 1933, six games behind the pennant winning Giants. Lon finished with an 18-13 record, and had an outstanding ERA of 2.00, hurling four shutouts. In 1934, Warneke drew the opening day assignment at Cincinnati. The Cubs and Warneke were on target as they zipped by the Reds 6-0 on a Warneke one-hit shutout and 13 strikeouts. Five days later, on April 22, at Sportsman’s Park in St. Louis, Warneke and Dean again faced each other. The Cubs came to hit, rapping the ball for 15 runs on 22 hits. The final score was 15-2. Warneke had just hurled a one-hitter, his second in a row. Warneke hurled against the Cards' Paul Dean on July 2, 1934, and the Cubs won 7-4. During the nine-inning affair, the Cardinals protested a play in the seventh inning that would have been the third out of the inning. The protest was upheld, so the last two innings were replayed later. On July 31, Warneke continued to pitch the last two innings of the protested contest, which the Cubs won by an amended score of 7-1. Warneke took a short break and went back to the mound to begin the regular scheduled game. The Cubs pounded out 12 hits to win 7-2 on Warneke’s six- hitter, giving Warneke two wins on the day. Manager Charlie Grimm again gave the 1935 opening day assignment to Warneke, against the St. Louis Cardinals and Dean. The Cardinals whacked Warneke for 12 hits, but the Cubs and Warneke hung in there for a 4-3 win, his third consecutive opening day win. The Cubs were in third place on September 4, 1935, 2.5 games behind the first place Giants. Chicago then ran off an incredible string of 21 straight wins, Warneke contributing four victories to the stretch. It was the second longest winning streak in modern baseball history, behind John McGraw’s 1916 Giants. He ended the season with a 20-13 mark, finishing with seven consecutive victories, as the Cubs headed for the 1935 World Series against the Detroit Tigers. Detroit won the next three games, but Warneke returned for the fifth game, against Rowe. Lon threw six shutout innings and left with a sore shoulder as the Cubs were leading 2-0. Bill Lee relieved Lon in the seventh inning and gave up only one tally as the Cubs were victorious 3-1 with the win going to Warneke. The next day, the Tigers took the sixth game to win the 1935 World Series, four games to two. In 1936, Lon was on the mound for his fourth consecutive opening day contest. The Cubs again faced St. Louis. The Cardinals jumped on Warneke for 13 hits, but Fabian Kowalik relieved Lon in the eighth inning as the Cubs won the 14-7 contest. Warneke got his fourth opening day win, thanks to the save by Kowalik. In the 1936 All-Star game, Dean, Hubbell and Warneke tamed the American Leaguers as the National League won their first All-Star game, 4-3. In the top of the seventh inning, with two on and two outs, Warneke relieved Curt Davis of the Cubs. Warneke walked his first batter, Charlie Gehringer to load the bases. Joe DiMaggio, the next batter, lined out to shortstop to end the threat. The Americans collected only one hit off Warneke in 2 1/3 innings as the National League won their first All-Star game 4-3. Warneke was credited with the save. Warneke ended the season with a 16-13 record while posting four shutouts. Warneke immediately became part of the Cardinal atmosphere. Pepper Martin had organized the Mississippi Mudcat Band. With Warneke on guitar, Pepper Martin (guitar and harmonica), Bob Weiland (jug), Frenchy Bordagaray (washboard), Bill McGee (fiddle) and Max Lanier (guitar and harmonica) their combined efforts provided extra entertainment for teammates and fans alike. Frankie Frisch, Cardinals manager saw this as a needless distraction and hated it. The 1937 season was a good year for Lon. Warneke supported a 10-3 mark at the All-Star break, but was not selected to the All-Star Classic. He finished the season with an 18-11 pitching mark, but his ERA was high at 4.53. He had two shutouts, however delivered 32 home run pitchers, tops in the league. Warneke eventually recovered and came back to pitch, ending the campaign with a 13-8 record. Among the 13 wins were four shutouts and the beginning of a record setting streak. On September 26, he made an error against the Cubs in a 6-3 loss at Wrigley Field while pitching in relief. The miscue was innocuous enough to not be mentioned in coverage of the game. It was the last error Warneke made in the majors. Starting with his next appearance, a start against the Cubs, Warneke pitched 221 games over six seasons to set a then record for consecutive games without an error by a pitcher. Overcoming a spring case of flu, Warneke pitched effectively beginning the 1939 campaign. The third game of the season, Lon flung a four-hit, 9-0 shutout against his former team, the Cubs. One week later, he threw a one hit 2-0 shutout against the Cubs at Wrigley Field – back to back scoreless efforts. Warneke ended the year with a 13-7 record, his efforts curtailed by a late season bout with the flu. A rare occurrence transpired on May 13, 1940, on Ladies Day at Crosley Field in Cincinnati. The rained out game between the Cardinals and Reds on April 23 had been rescheduled; however Ford Frick, National League president, had neglected to assign umpires to the rescheduled game. Officials located Larry Goetz, who was about ready to catch a train for his next umpiring assignment. He was redirected to Crosley field. About a half hour later, Goetz walked onto Crosley Field to a rousing ovation. He later recalled it was the first time that he received cheers just for walking to the plate. Manager Billy Southworth in 1941 picked Warneke, to pitch opening day against the World Champion, Cincinnati Reds. The Cardinals overhauled the Reds, 7-3 for Warneke’s fifth opening day career win. Warneke at 32, continued to pitch well for the Cardinals, but one of the biggest thrills of his career came on August 30 that year when he threw a 2-0 no-hitter against the Reds on August 30, 1941 at Crosley Field. He received a rousing ovation from the Cincinnati fans following the last out of the game in which he walked only one batter. Warneke finished the 1941 season with a 17-9 record and a .654 won/lost percentage, his best percentage since 1934. Lon posted a 3.15 ERA and hurled four shutouts, including the no-hitter. Warneke owned a 6-4 record by July 8, 1942, when he was sold to the Cubs for the waiver price of $7,500. It was a surprise, but Warneke accepted the transaction philosophically saying it was good to get back to his old stamping grounds, but he would miss the Cards. A little over a month later, he pitched what some said was the best performance of the season. On August 23, 1942, at Wrigley Field, the Cubs entertained the Cincinnati Reds in a doubleheader. Warneke pitched the second game and threw a 3-0, two-hit shutout facing only 27 men. He ended the 1942 season with a 5-7 record for the Cubs with a total season record of 11-11 and an excellent 2.73 ERA. Warneke knew the end was near, but he stayed with the Cubs to help the young pitchers as well as attempt to use his pitching ability to win a few games. He finished the 1943 season with a 4-5 record, his first losing season since 1931. In June 1945, the military released the 36-year-old Warneke who reported directly to the Cubs. He only pitched in nine games and put up a 0-1 record serving mainly as a pitching coach and a relief pitcher. His last pitching assignment was on September 29, 1945, three innings of shutout relief in a 5-0 victory over the Pirates at Forbes Field. The Cubs won the pennant in 1945 and played the Detroit Tigers in the World Series. The Tigers beat the Bruins four games to three to win the World Series, but Lon sat on the bench during the Series. After 15 years in the majors, it was time to retire. Lon finished his career with a 192-121 won/loss record and an ERA of 3.18 with 2,782 innings pitched. Lon was a 20-game winner three seasons and in the double-digit win-column 11 years. He played nine years without committing an error – the last six without an error to set his consecutive game record. Warneke hurled 30 career shutouts and one World Series shutout. He had a .233 season career batting average, three years averaging over .300. Lon pitched in three World Series with a 2-1 post-season record. Despite not having pitched for ten years, Warneke was still well thought of as a player. The same year Warneke retired from umpiring, Pie Traynor, the Hall of Fame third baseman who played 17 seasons with the Pittsburgh Pirates, picked his era’s All-Star team of the 1920s and 1930s. Warneke was honored by being chosen as one of the elite pitchers along with Carl Hubbell, Grover Cleveland Alexander, and Dazzy Vance. In Warneke’s opinion, Carl Hubbell was the best pitcher in baseball. Warneke is the only major league player to have played and umpired in an All-Star game (1952) and the World Series (1954). In retirement the eclectic Warneke enjoyed hunting, fishing, ranching, square-dance calling, guitar playing, and carpentry. In the business world, Warneke worked as a soybean farmer, cattleman, service station owner, a feed store owner, and owner of a water conditioning company. Lon Warneke died on June 23, 1976, at his home in Hot Springs of a heart attack. He was 67 years old. He is buried in the family cemetery at Owley, near Mount Ida, Arkansas. Engraved on his tombstone is a picture of an iris bouquet, designed by his daughter Lonnie Pat. Below the iris, the words “Arkansas Hummingbird” are etched into the stone. He was survived by his wife, Charlyne and two children Charles Lewis (b. 1936) and Lonnie Patricia (b. 1938), and many friends and relatives. Buried next to Lon is his wife Charlyne who passed away in 2007. Charles died in 2011. Lon Warneke was inducted into the Arkansas Sports Hall of Fame (1961), the Walk of Fame in Hot Springs, Arkansas (2006) and the Reading (Pennsylvania) Baseball Hall of Fame (2011). Umpire Lon Warneke spoke at a Hot Springs Junior High School assembly program around 1951. His daughter, Lonnie, was in the seventh grade at the time. He told baseball stories and entertained questions from the students. At the conclusion of the program, the students applauded. He walked off the stage, down three or four steps to the main floor. I was sitting in a front row seat and applauding him as he came by. When he was in front of me, he put his hand on top of my head, ruffled my hair and said something like, “How ya doing, pardner?” He made this seventh-grader’s day. Alexandria Daily Town Talk, various issues. Baton Rouge Advocate, various issues. Garland County Historical Society, 2013. Society of American Baseball Research, (Paper of Record), 2013. The Sentinel-Record (Hot Springs, AR), various issues. www.encyclopediaofarkansas.net, (Lon Warneke article) accessed 2013.
www.rootsweb.ancestry.com, “Lon Warneke – from Pitcher to Umpire to Judge”, accessed 2013. Society of American Baseball Research-“Paper of Record,” accessed 2013. Luebben, Lonnie Warneke, interview, 2013. Warneke, L. J., interview, 2013. Warneke, Mrs. Lon (Charlyne) Warneke, 28 November 1991. Weaver, Hank, interview and letter, 2013. Golenbock, Peter, Wrigleyville, A Magical History Tour of the Chicago Cubs, (New York: St. Martin’s Press, 1996), pp., 253-254. Compiled and edited by the Sesquicentennial Committee, Montgomery County-Our Heritage (Delight, Arkansas: Alexander Printing: 1986), p. 508. Konkler, G. C., “Home Folks Remember Lonnie Warneke…,” article from files of the Heritage House Museum of Montgomery County, Mount Ida, AR. Tampa Tribune, January 6, 1933, p. 14. The Reading Eagle (PA), July 20, 1932, p. 10. Golenbock, Peter, Wrigleyville, A Magical History Tour of the Chicago Cubs, (New York: St. Martin’s Press, 1996), p. 254. World Wide Sports, Baseball Superstars, Inc., Baseball Card, The Sporting News Publishing Co., 1988. Omaha World-Herald, September 16, 1932, p. 19. Reading Eagle, July 20, 1932, p. 10. The Sporting News, April 12, 1945, p. 9. Omaha World-Herald, September 8, 1932, p. 13.
www.baseball-reference.com – Lon Warneke Statistics and History, accessed 2013. Springfield Republican, Sept. 30, 1932, p. 21. Riverside Daily Press (CA), March 13, 1933, p. 9. Seattle Daily Times, June 26, 1933, p. 12. The Sentinel-Record, (Hot Springs, AR), October 2, 1935, p. 45. San Diego Union, October 3, 1935, p. 13. Trenton Evening Times, October 3, 1935, p. 45. Rockford Register-Republic (IL), May 19, 1938, p. 15. Dallas Morning News, May 21, 1938, Sec. 2, p. 2. Boston Herald, May 22, 1940, p. 19. The Sporting News, May 3, 1945, p. 11. Trenton Evening Times, June 3, 1945, p. 19. The Sporting News, August 2, 1945, p. 12. Omaha World-Herald, December 18, 1948, p. 9. Plain Dealer, May 22, 1951, p. 20. Fehler, Gene, “When Baseball Was Still King: Major League Players Remember the 1950s (Jefferson, NC: McFarland & Company, 2012), p. 44. Rockford Morning Star, October 29, 1955, p. 12. The Sporting News, November 24, 1962, p. 28. Boston Herald, December 1, 1962, p. 35. Ibid. July 20, 1963, p. 5.